USC at Santa Pod Raceway is the Largest, Loudest, Hottest and Fastest, modified car festival in Europe featuring Run What Ya Brung public track time, Drag Racing, Music*, Club Camping, Traders, Show & Shine, Drifting, Stunts Displays, Jet Car and much more, it's the UK's most extreme Car Show. 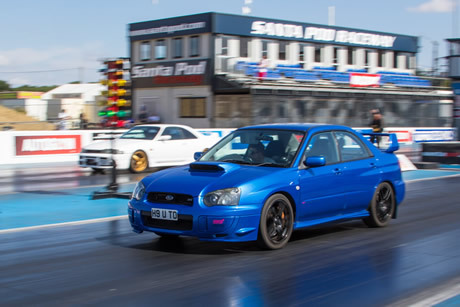 Get your car on the most famous quarter mile in Europe and race your mates! Prizes for fastest in class. £20 for 3 runs on the track, with full performance print-out. Track open all three days. Don't forget your driving licence if you want to join in! 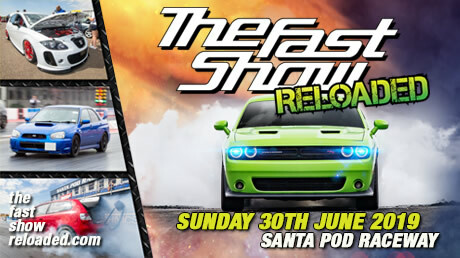 If you can't wait until USC, visit www.RWYB.com for a full calendar of RWYB dates at Santa Pod Raceway. The USC Show & Shine features the best show cars in the business. But there's room for you too! Anyone with a great car can enter, just turn up on the day.Prizes from Autoglym and trophies for winners. 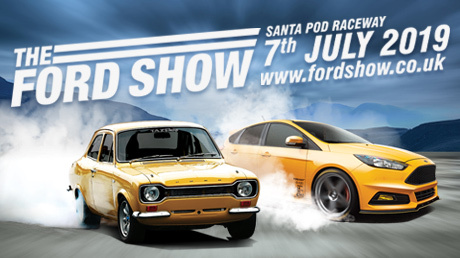 Full details on the Show n Shine page. No prizes, no judging, just somewhere cool to park your car if you want it to be seen on Saturday. Please park back in your camp area overnight. 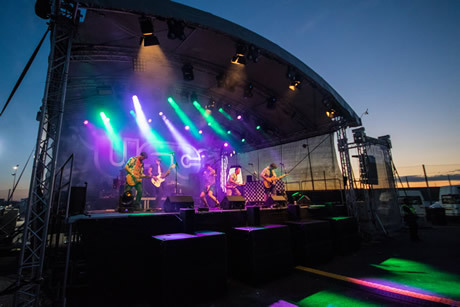 The first acts confirmed for USC 2019 are Kojo Funds on stage on Friday with Random Concept, Shadow Demon Coalition and Evil B V B Live in the Dance Tent. Tinchy Stryder and Big Narstie are on Stage on Saturday with Silent Disco in Fuelers Bar. Further details on the Music page. If you have 10 or more cars coming then you can book a club camping pitch. 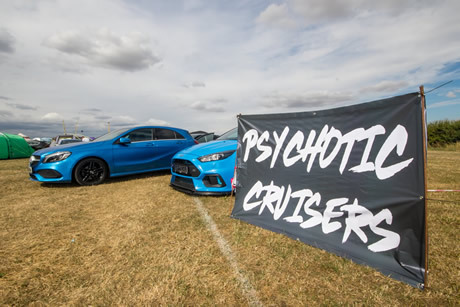 Further details and booking form on the Car Clubs Page, the first clubs to book get pitch priority. 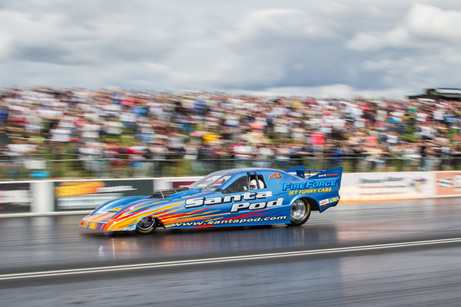 View fulll Santa Pod Raceway Camping Information. 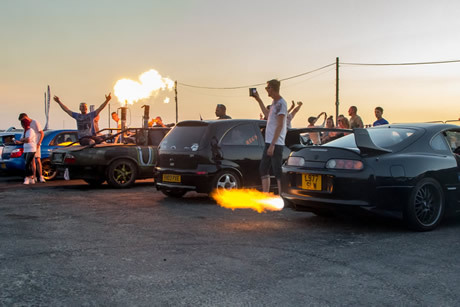 Torture your tyres for the crowd’s amusement in the gladiatorial-style burnout contest. Full info on the Burn Out page. Saturday night at USC is "flame night" as the biggest flaming exhausts in Europe compete to amaze and amuse the crowd with an awesome fire show! More info on the Flame Out page. Stage Dancers: The gorgeous Bass Honeys will be performing on the Main Stage Friday and Saturday evenings, pole dancing, fire breathing and much more. 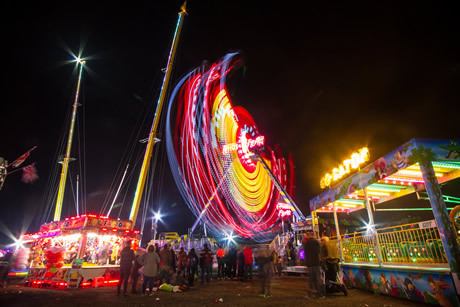 All the fun of the fair with waltzers, dodgems and all manner of wild rides that will spin, twist, flip and thrill you or just grab some candyfloss and hit the arcades. 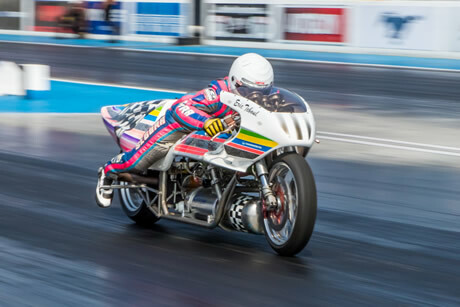 There will also be demo runs from National Drag Racers. The awesome Fireforce 3 Jet Car driven by Martin Hill is capable of thundering down the strip in 5 seconds with a terminal speed in excess of 270mph! Don't miss the opportunity to experience the sideways driving, tyre smoking art of drifting with passenger Drift Rides available. 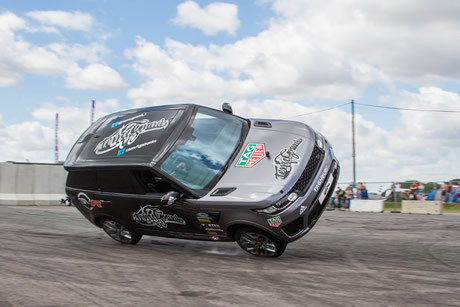 If you are interested in trying drifting for yourself then Santa Pod holds regular Drift What Ya Brung days, full details at www.DWYB.co.uk. 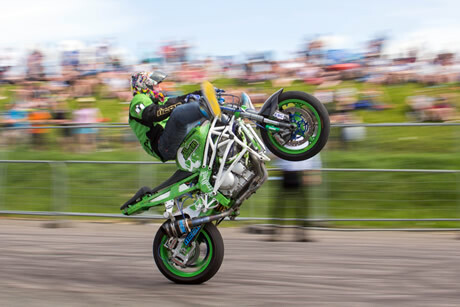 Professional freestyle motorbike stunt rider Lee Bowers will be showing off his jaw-dropping skills on a variety of Kawasaki bikes including his custom Ninja. Robert has toured his spellbinding hypnotic shows from Las Vegas to London, hypnotising over 20,000 people in 2,000 five-star performances. 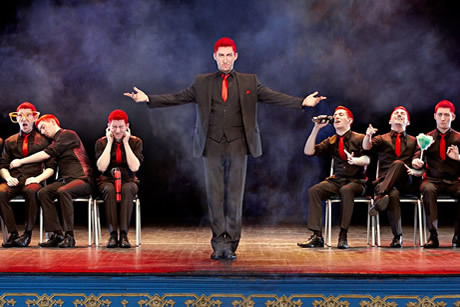 Robert is a talented comedian and hypnotist, combining quick-wit, cheeky charm and a dazzling hypnotic ability, dragging this age-old art form BANG into the 21st century. The annual Mr & Miss USC competition has created heroes and careers … and as ever, YOU can be part of the legend! If you want the chance to WIN £200 CASH, and if you want to be in all the magazines, this is the time and the place. All contestants will have their admission cost refunded. All it takes is a lot of guts and huge sense of fun. You don’t have to have the model physique or the face of an angel… but it can of course help. We’ll be testing competitors skills with a series of mini games but it's the audience who have the final say, and winning them over is the ultimate aim. Open to competitors over 18 years old. So you fancy yourself as a big eater? Why not take on some colossal food challenges with sick buckets at the ready and the opportunity of winning £100 and trophy. Open to men and women. 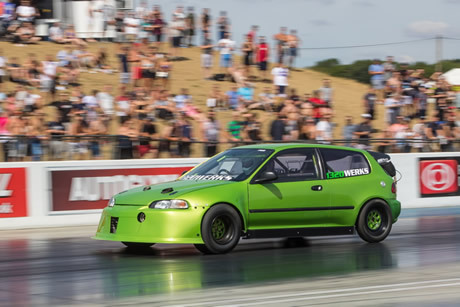 EMMA-UK, The UK's No1 car audio competition will be back at Ultimate Street Car. We have all aspects of car audio covered, with some of the loudest and best sounding cars the UK has to offer. With a range of classes to suit all, from beginner to expert. 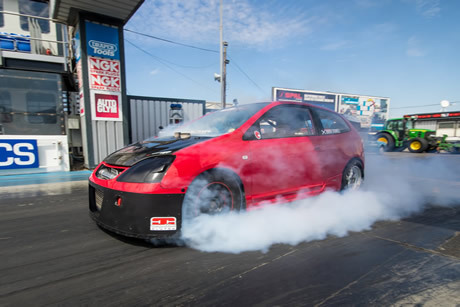 If your car looks great and has some serious power then Show & Go is the competition for you. Points are scored both on the track and in the show paddock. Full details on the Show & Go page. 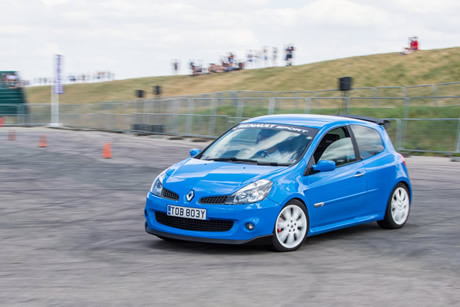 If you've got a car that goes around corners like a go-kart, then why not have a crack at the handling circuit? It's FREE to enter and just for fun, but it's yet another way you can play with your car at USC, and you don't need mega-power to have fun. In fact, the top cars on the handling circuit are nearly always the little 'uns. More info on the Handling page. 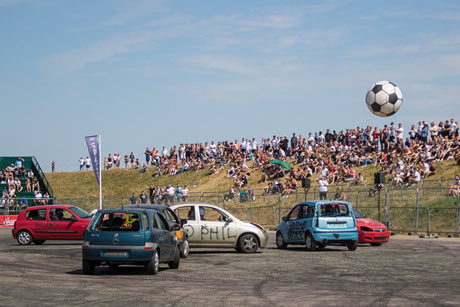 Watch as the mayhem unfolds with live car football, two teams of three cars each and a great big ball. 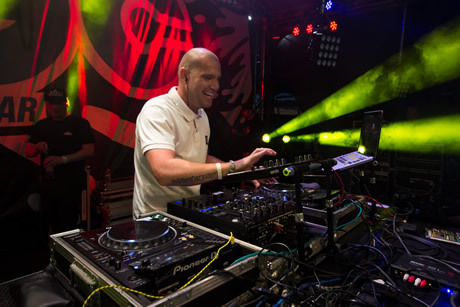 There will be DJs and MCs on stage on Sunday, providing the audio backdrop to Show n Shine. There will be a huge variety of traders selling everything from car parts to clothing. If you've got a car you want to sell, park it up, stick your phone number on the dashboard, and wait for the calls to come flooding in. FREE for both buyers and sellers! Caterers and bars will be open around site all weekend. There will be a wide range of food and drink to suit all tastes from burgers and pizzas to Chinese, Mexican and Indian. Licensed bars plus Coffee and Milkshakes. View details. View photos from USC 2018 on the Facebook Gallery. 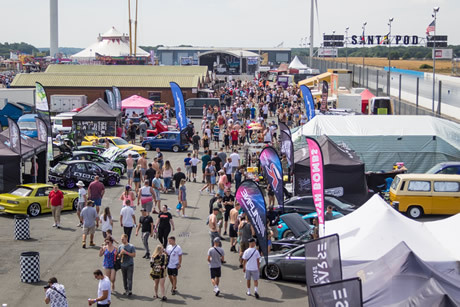 1) EXIT & RE-ENTRY GUIDE: USC is one of Santa Pod’s busiest and most popular events in the calendar and we have a large number of visitors using rural routes through our neighbouring villages. To relieve our local communities of unnecessary traffic during the event, USC operates a strict re-entry policy to minimise disruption: visitors choosing to leave the venue anytime during the weekend will need to pay to re-enter the venue even if they have already purchased a ticket. So, please bring all of the camping supplies that you will need for the weekend including enough petrol/diesel! Your continued cooperation in this matter is always appreciated and keeps the USC vibe alive. 2) NO GLASS: No glass bottles, jars etc allowed on site. This is for you and your car's safety and especially for those in the camping areas. Cars will be searched on arrival. 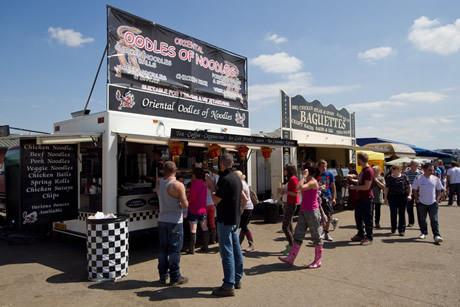 3) NO CHINESE LANTERNS: Chinese Lanterns are banned at Santa Pod Raceway as they pose a real fire hazard to the crops and thatched roofs surrounding the track. 4) When you arrive and leave site, please keep your speed down, don't litter and respect local residents.